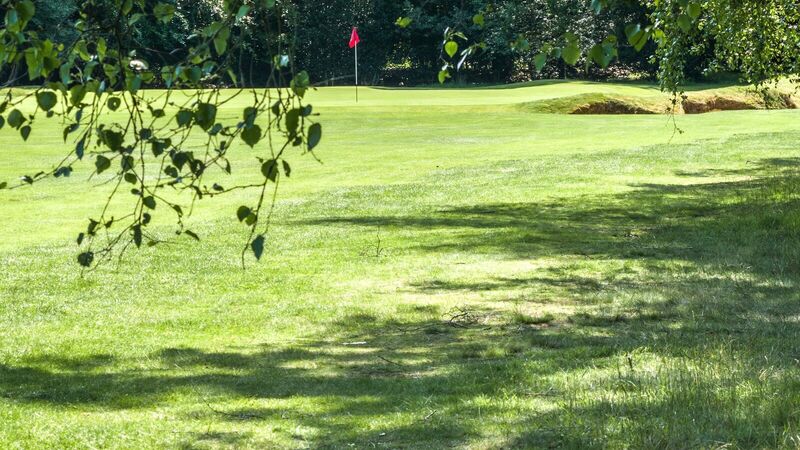 Tee Times :: Liphook is a traditional golf club with one of the best courses in the country. Opened in 1923, the course was soon recognised by the R&A as an exemplary inland heathland course and is also an early example of strategic design for golf courses. The Club does not allow pre-booking of tee times for members or visitors. Matches and societies have pre-arranged start times and visitors can check on these by calling 01428 723271. We provide a chart showing when the tees are most likely to be heavily occupied by members playing in groups: RUSH HOUR . Visitors are asked to avoid the busy period between 1000 and 1100 hours on weekdays. A match starting before 0800 Monday to Friday has no standing. Matches starting at the 10th are entitled to alternate at the 1st within the permitted times. PLEASE NOTE : Annual maintenance on the greens starts on 1st August and some temporary greens will be in play. Visitors are recommended to wait until late August. a. Bohunt Manor Golf Club members have absolute priority at the 1st until 0900 on their competition and match days. b. 3 and 4 ball matches having started at the 10th have priority at the 1st between 1000 and 1100. When a Starting Sheet is in operation, no match may start from the 10th . Three and four-ball matches may only start from the 1st after 1430 or after the last start in the competition, whichever is the later. “Priority on the course is determined by a group’s pace of play. Any group playing a whole round is entitled to pass a group playing a shorter round. It is a group’s responsibility to keep up with the group in front. If it loses a clear hole and it is delaying the group behind, it should invite the group behind to play through, irrespective of the number of players in that group”.